Attendance System Kiosk allows employee to check in and check out just by scanning their fingerprints. Attendance System Kiosk for Leave application and employee attendance is very convenient for SME Companies as it records the name of the employee and the time automatically. Employee Type: Managers/Human resources department can use this feature to set days of leave allowed as well as employee types such as Probation days, Work pattern, Contract periods and so on. Employee List: managers/hr departments can view the full list of employee with their details such as names,mobile number,home number, office number, passport/IC number, fingerprint verification and so on. This feature allows editing function as well. 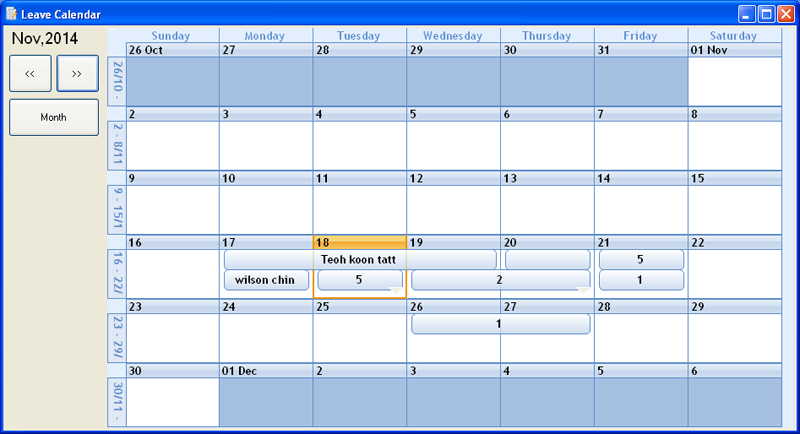 Leave Calendar: The Leave Calendar allows users to view those who have applied for leave with ease. Attendance Station: User can select the station that they are situated in before checking in. 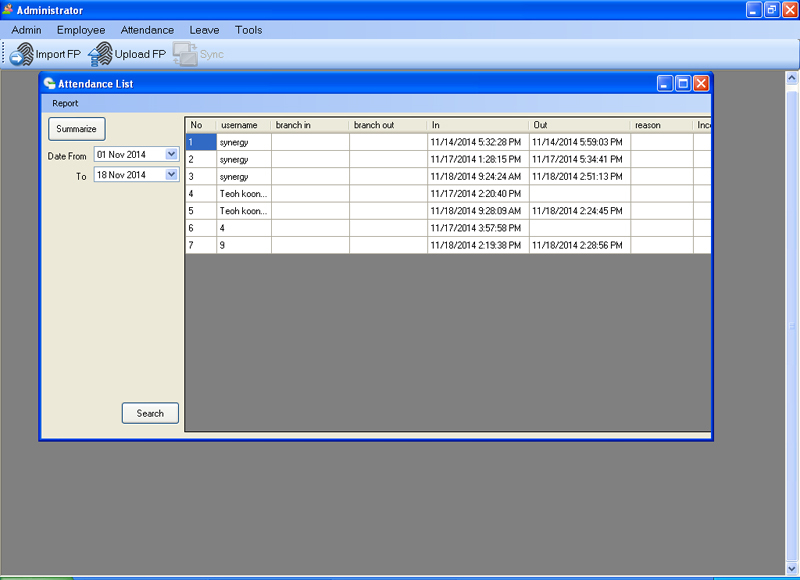 Managers/HR Departments add or set stations to this feature. Login with Fingerprint: Employees can use their fingerprint to login before checking in. Check In with Fingerprint: Employees can clock in to start work using their fingerprint. The name of the employee and the time will be saved automatically. 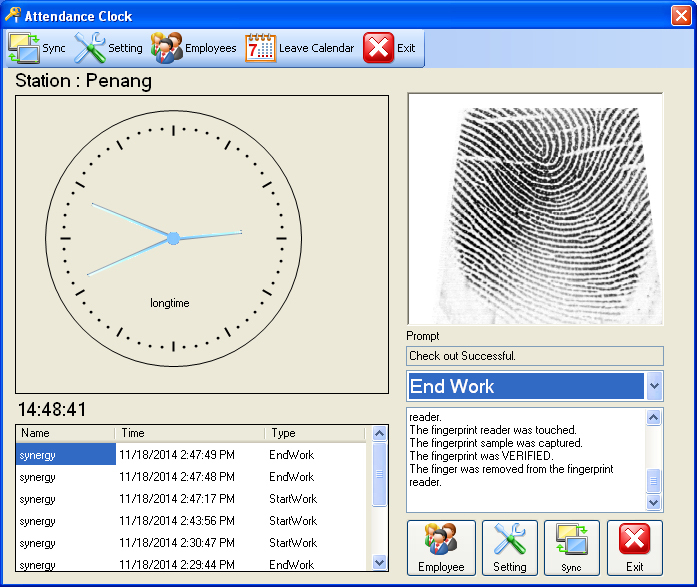 Check Out with Fingerprint: Employees can clock out when they end work using their fingerprint. The name of the employee and the time will be saved automatically. 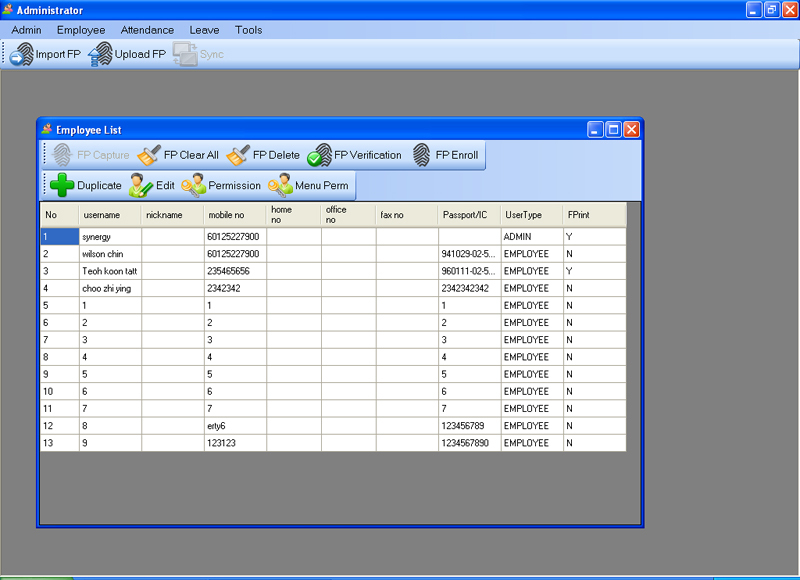 Attendance List: Once employees have checked in/out, their names will appear on the recorded attendance list for easy viewing.Employee Attendance records can be sorted by selecting particular dates. 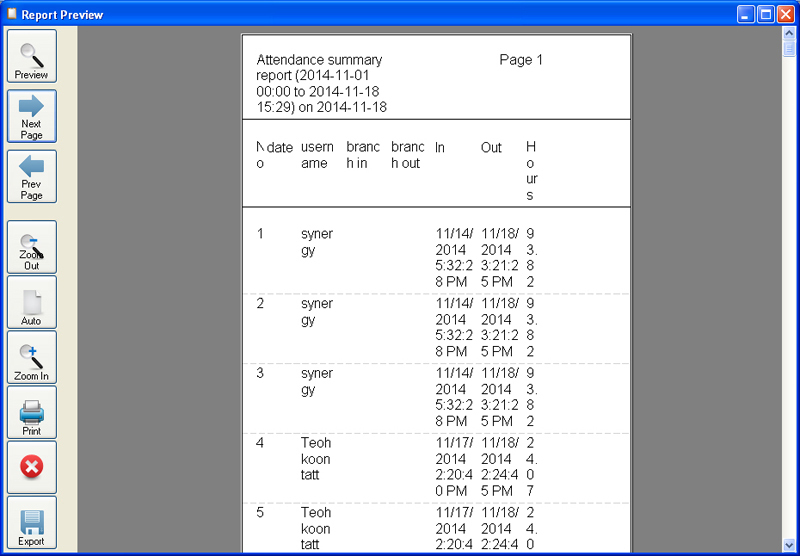 Attendance Summary Report: This is a Attendance System kiosk feature where managers/hr departments can view the summarized version of the employee attendance list. This list can also be printed out for filing purposes.